Welcome Friends was a five year Big Lottery Fund supported project aimed at reducing social isolation amongst older people in the local communities of Carmarthenshire, Blaenau Gwent, Rhondda Cynon Taf & Pembrokeshire. Put simply we did this by recruiting volunteers to either carry out weekly home visits to elderly isolated people or to set up local activity groups to bring people together. The project achieved a great deal, and continues to have a large community impact. In this blog we look at how we went about building a strong and sustainable community of volunteer befrienders and activities, and what the future holds for them. With an ever-increasing ageing population, befriending services are only growing in importance. 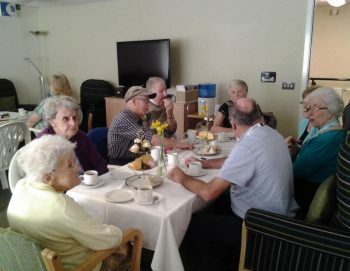 The part that volunteers can play in alleviating social isolation is increasingly recognised, and volunteer befriending is now seen as a vital component of social care and the prevention agenda. We certainly saw a spike in referrals to Welcome Friends over the years, possibly as a result of austerity biting. But at the same time there’s clearly been an increased popular awareness of social isolation in communities. We found volunteers coming forward wanting to help, possibly knowing they could face similar situations themselves in the future. Welcome Friends was important in an area like Pembrokeshire where transport and amenities were not always widely available. Someone to visit when home is a small village or an isolated location was a lifeline, especially when getting out can seem like a major expedition. For those who are active but who want to walk or have a very short car journey to do fun things and meet new people, a local group activity is key in a village or hamlet setting. Beneficiaries were always telling us that their befrienders had changed their lives and that they had never thought these changes possible. 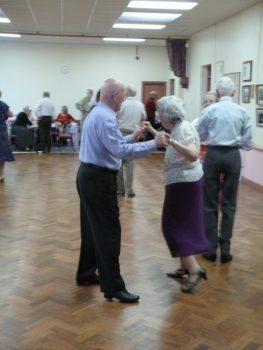 Our activity groups often became the secondary activity and the friendship and companionship gained the primary one. The groups were a vehicle to get people out and about and mixing with others, and were considered as such. If we didn’t have an activity for someone, then our volunteer organisers would work to put on an event or group they could enjoy! One volunteer said it had offered them a lifeline after caring for their late partner, through which they had become increasingly isolated. Welcome Friends offered them a social life, new friends and enjoyable experiences in a time that was otherwise dark. Whilst the funding may have come to an end, the momentum behind the project has not. Welcome Friends continues in a volunteer-led capacity and the lessons learned have been put in to action in further Volunteering Matters projects across Wales and the rest of the UK. The duration of the funding from the BIG Lottery Fund really helped the long term sustainability of the volunteering. It was a huge advantage having five years secured, as opposed to just two or three. Possibly stating the obvious, but nevertheless important, this longer time frame enabled us to embed sustainable Welcome Friends groups into communities, and nurture the great volunteer organisers needed to keep groups going for the long term. Volunteers like Lynda, who still runs a social group in a village hall in the Narberth area, a permanent diary fixture amongst some of the older ladies in the village, widowed for some time. The Welcome Friends Rhondda Cynon Taf project has continued and in fact expanded into Merthyr Tydfil thanks to a Community Capacity Grant. Our dedicated (in all senses of the word) project coordinator supports a team of over 50 volunteers who reach 35 beneficiaries through weekly home visits and craft and social groups. We have weekly attendances of 35 at our craft group in Pontyclun and 40 beneficiaries attend our monthly Lunch Club. Less mobile members are transported to activities by volunteers to give them the opportunity to mix socially and make new friends. We’ve also helped to bring all the befriending services in Pembrokeshire together as the Pembrokeshire Befriending Network, working together to raise awareness of befriending and promote referrals between organisations to find solutions for all our clients. Volunteering Matters is now spearheading the volunteering element of the Active & Connected Communities project, recruiting Befrienders and Organisers to maintain, extend and develop befriending and social activity in the county. This, of course, includes support to the established Welcome Friends groups and long may they continue!